Ok, the name isn't that great, but this six-seater is quite interesting. Toyota is certainly going to town as far as its presence at the forthcoming Tokyo Motor Show taking into account it will have on display a multitude of concepts that will sit alongside production cars. The latest to join the growing list might not win you over with its name, Fine-Comfort Vehicle, but its peculiar shape is worthy of our attention. 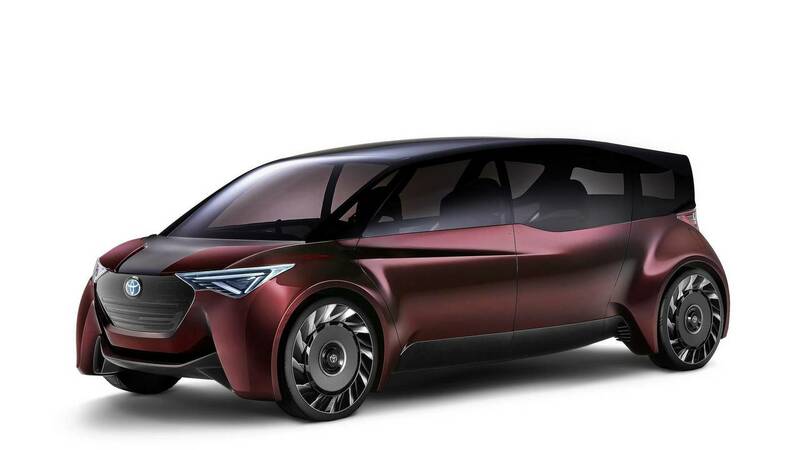 While to some people this looks more like an elongated minivan from the future, Toyota says it's actually an attempt to create a new type of a premium sedan. Like the Mirai, the concept has a fuel cell setup and has enough juice for a maximum range of around 1,000 kilometers (621 miles) based on Japan’s JC08 test cycle. Once you’re out of fuel, a full refill is going to take roughly three minutes. The Fine-Comfort Vehicle is quite large as it stretches at 4,830 millimeters (190 inches) and comes with a substantial wheelbase measuring 3,450 mm (136 in). It stands 1,650 mm (65 in) tall and has a width of 1,950 mm (77 in). Thanks to its generous proportions, the concept can easily accommodate up to six people inside its futuristic cabin. 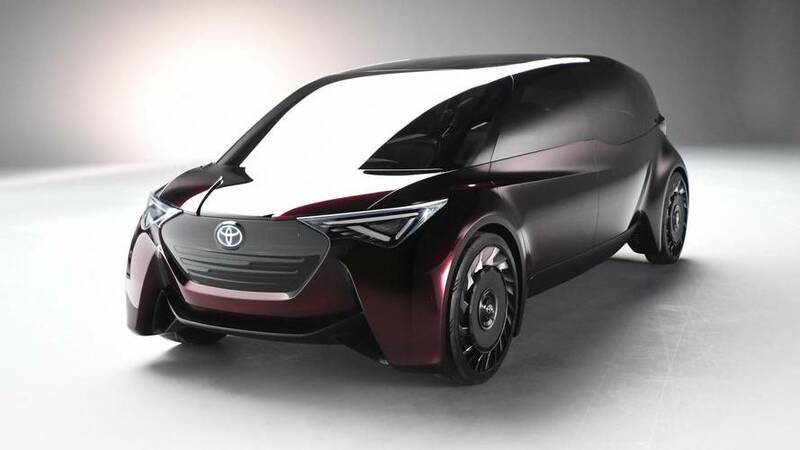 Toyota says its latest showcar has been shaped to mimic a diamond and rides on wheels positioned at the corners of the vehicle as the overhangs are extremely short. Although you can’t see it, there’s a full underbody cover to boost sound insulation and to ensure greater stability. An expansive glasshouse grants excellent visibility not just for the driver, but also for the passengers relaxing on those comfy seats that come with built-in footrests. Getting in and out of the Fine-Comfort Vehicle should be a breeze thanks to the minivan-like rear sliding doors and also due to the absence of a conventional B-pillar. Once you’re in, it’s like 2050. An expansive screen covers almost the entire width of the dashboard while the unconventional steering wheel incorporates a large screen. There’s also a head-up display and it seems that various info can be projected onto the side windows. Also at the 45th Tokyo Motor Show that starts in a week from today, Toyota will have on display the Tj Cruiser and GR HV Sports concepts joined by the new Century and a near-production Crown. The tiny Concept-i Ride featuring gullwing doors will be there as well.